Bahia Bass’ enthusiast, Lord Breu, is back to the Mal Dicen family after being selected as one of the most relevant artists from Bahia’s Ministry of Culture in 2014-15. This time he comes back with Dende. A deeper expansion in the Bahia Sound flirting with Rasteirinha, Zouk Bass, Moombahton and all sorts of tropical Bass. Dendê is a fruit that, like music, african-Bahian culture spread around the world. 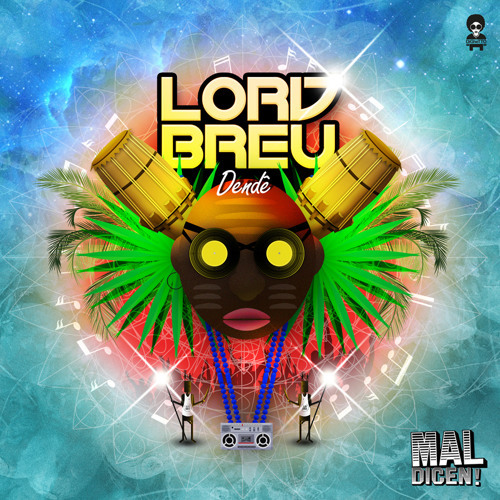 Dendê is Bahia Bass, is the Lord Breu EP by Mal Dicen!, with influences from Samba Reggae, Samba de Roda, Zouk Bass, Afoxé and Moombahton, besides the participation of the great Bahian artists: Fayakayano, Don Maths and Mr. Cappy aka Capitão América. With the cover art by Junior Pakapym, Dendê is percussion of the Terreiro, is the bass that invades the streets, is the essence of sound.